Although the iPhone comes preloaded with the Safari web browser by Apple, not everybody out there is a fan of this browser. Most people prefer to use the web browser on their iPhone which they have already been using on their desktop. For some, it may be the Google Chrome and for others, it may be the Mozilla Firefox. 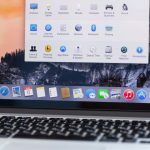 While everyone just knows what the most popular browsers are, namely Chrome, Firefox, and Opera, there are some web browsers that most people don’t know about. These browsers provide more security compared to the ones I mentioned above and you should definitely try them out on your iPhone. Here are some of those less known browsers for your iPhone. 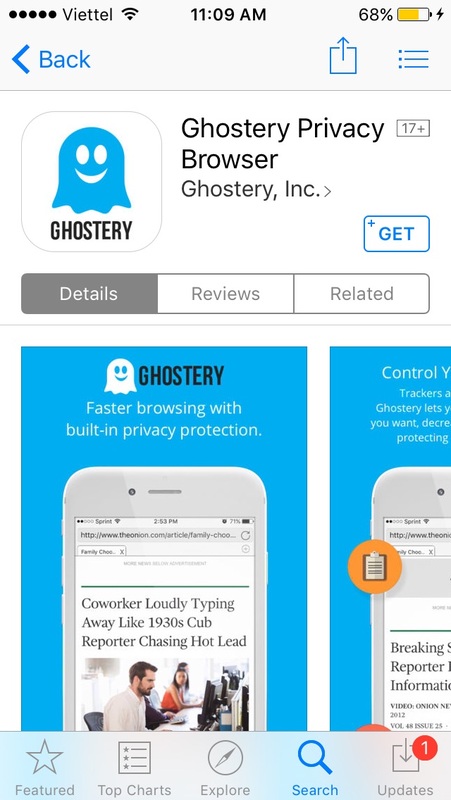 The focus of the Ghostery Privacy Browser is on your privacy. With the browser installed on your iPhone, you can have peace of mind while browsing the web as nothing gets recorded during your browsing session. It aims to provide you with better privacy options so that you are not afraid of getting your personal information leaked out. The browser is available for free and you can get it from the App Store. 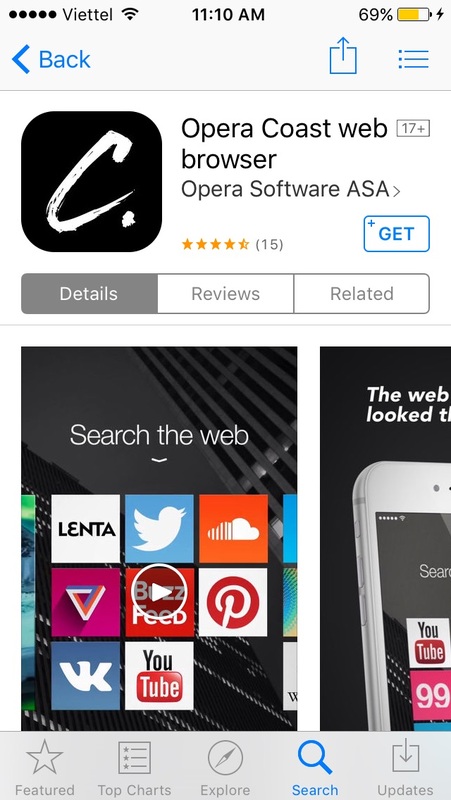 While everyone knows about the popular Opera browser, the Opera Coast web browser is a different browser than that. 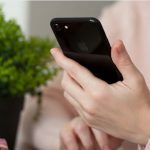 The browser claims that it gives the smoothest web browsing experience on your iPhone and it makes your web browsing sessions more enjoyable. Whenever you launch the browser, you get to see the latest things happening around the world. It could be an interesting story or a breaking news; it’ll appear right on your browser’s interface. 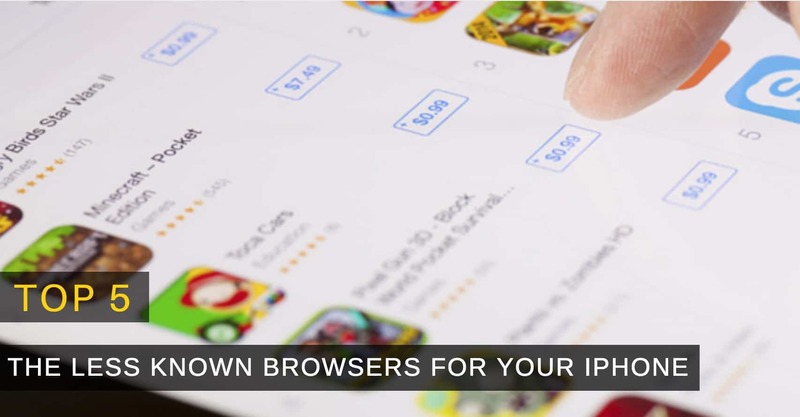 The browser comes at no cost and it can be obtained from the App Store. 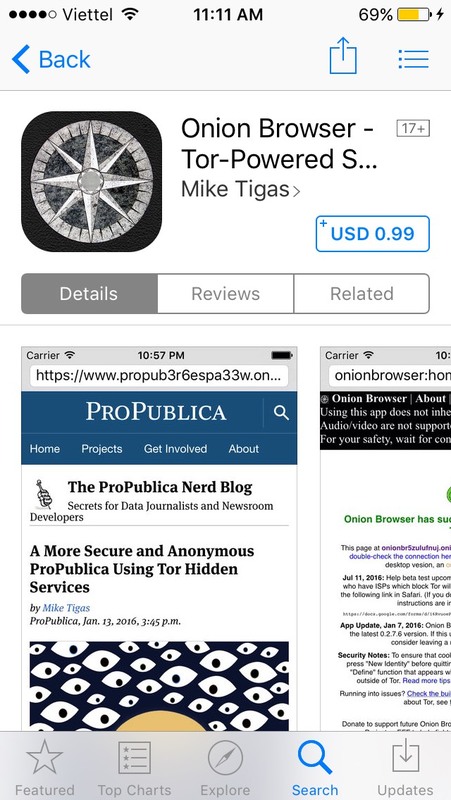 The Onion Browser brings the Tor-powered secure browsing environment to your iOS enabled smartphone. The focus of the browser is on helping you surf the web more privately and without leaving any kind of browsing traces. When you visit a website using this browser, the website cannot see your IP address – it protects your IP address from being revealed to the websites that you visit. It also disables any scripts that can potentially track your internet activities. What’s more, you can even clear cache and get a new IP address for your web surfing with a single tap on a button in the browser. 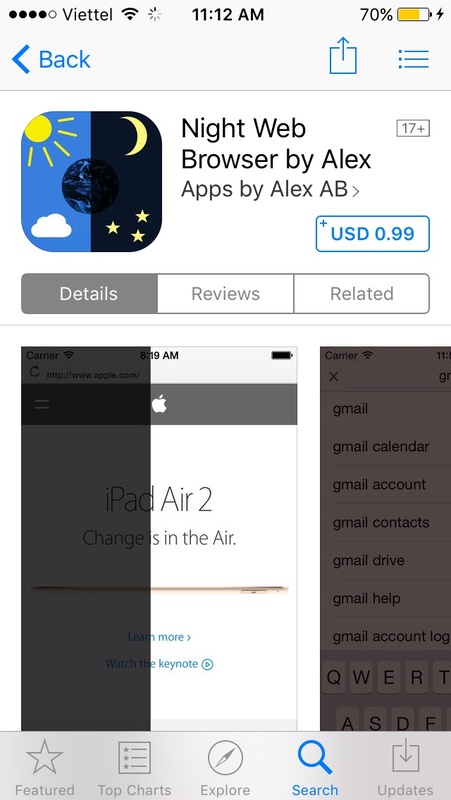 You can download the browser for a fee of $0.99 from the App Store. Yet another Tor-powered browser that helps you secure your identity while you are surfing the web. The VPN Browser ensures that whatever sites you visit do not get your location or any kind of data about you so that you are fully protected in your browsing session. With the tap on a single button in the app, you can just completely change your identity on the web. The browser is available for free to download on the App Store. If you love reading articles on the Internet but the brightness of your iPhone is an issue for your eyes, then the Night Web Browser is a perfect browser for you. The browser allows you to dim your screen as far as 100% so you can get the kind of brightness you’ve always wanted to get. The dimness applies to everything that is inside the browser including the keyboard, the YouTube videos, and so on. It has got other standard browser features as well so you don’t need to worry about that. 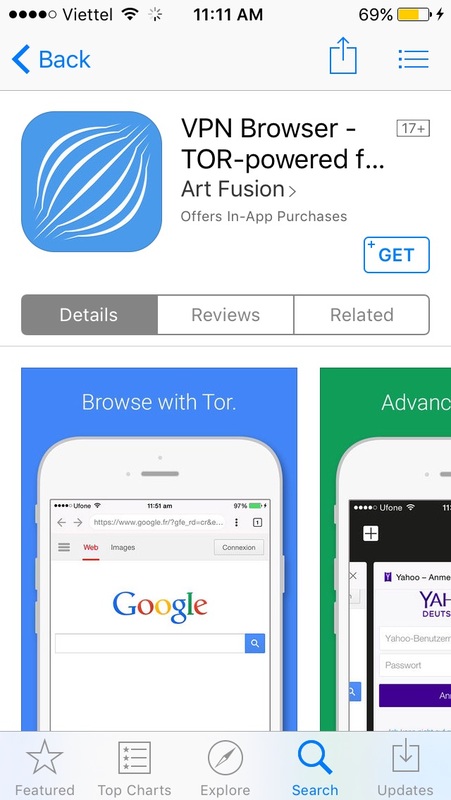 You can download the browser at the cost of $0.99 from the App Store.